First Solar were presenting their Series 4 Thin Film Solar Cells (TFSC). 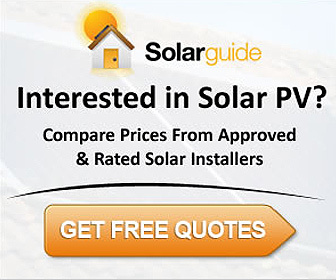 Thin Film makes up about 12% of the solar panel market – the vast majority of the market is Crystalline Silicon (c-Si) panels based on p-type crystalline silicon (c-Si) technology. Historically, Thin Film modules have lower efficiencies but First Solar claim that by 2017 they will be shipping Thin Film panels with 19.8% module efficiency – taking them ahead of p-type crystalline silicon (c-Si) panels. 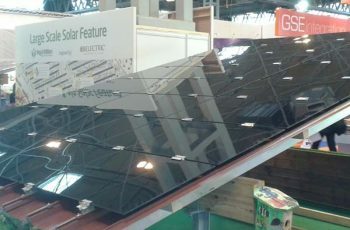 Whether this can be achieved and how competitively priced the panels are remains to be seen but it is certainly an exciting development. As you can see from the photograph the panels have a consistent appearance, resembling the glass sheets they are partly made from. Whilst black solar panels look fine on dark slate roofs, they can often clash with other roof coverings such as clay tiles. Some home owners worry that the visual appearance of their house will be spoiled by adding solar panels because of the clash of colours. 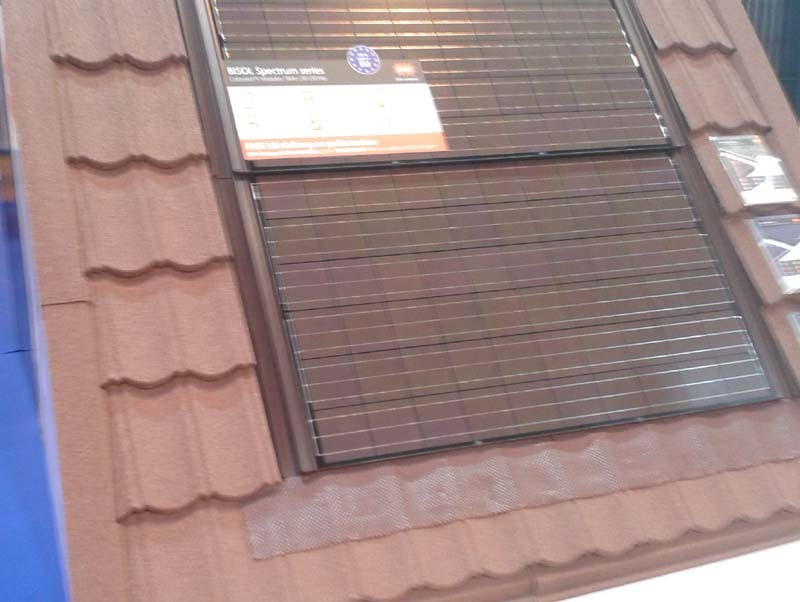 So Bisol, a European manufacturer of solar PV modules, have come up with a range of 9 colours, under their Spectrum Series of Multicrystalline PV modules, allowing a home owner to choose the perfect colour to match their roof. Speed of installation and weatherproofing are two key considerations when installing in-roof solar pv panels. 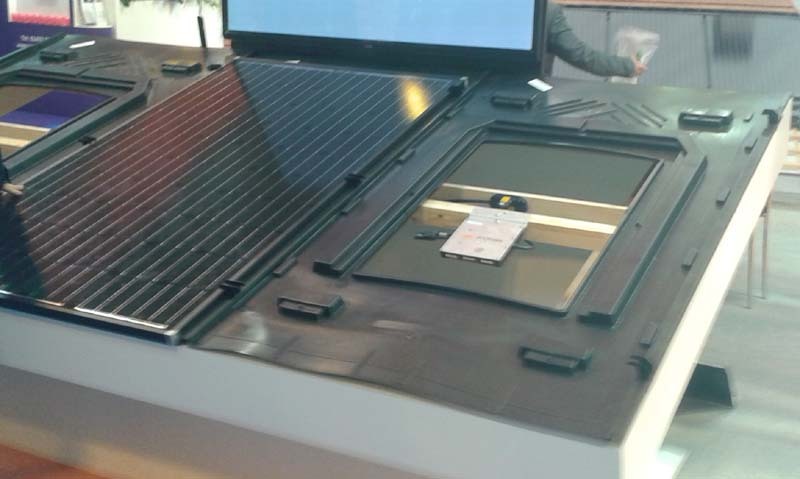 The In-Roof Integrated PV system from GSE Integration caught our eye. This is a modular system which provides a quick to mount waterproof system used for in-roof applications. The system consists of lightweight, easy to transport Polypropylene sheets which interlock to fit most existing solar PV modules. Using as much as possible of the electricity generated from your solar pv panels is a key trend. One option is to use energy that would be exported to the grid for other purposes. Energo offer a system that diverts surplus electricity to heat hot water using an immersion heater in your hot water cylinder. The clever bit of the system is working out when there is excess electricity to use. For those on Feed In Tariff’s it shouldn’t affect your generation payments so it is essentially free energy. There are four different Optimmersion options available including a wireless version and it is claimed that payback is around two and a half years if the water was previously heated with off-peak electricity on an Economy 7 tariff. Another way of increasing usage of the solar electricity you generate is by adding batteries to your solar pv system to store some of the electricity produced during the day for use at night. The Sunny Boy Smart Energy System from SMA combines a 2kWh lithium battery with an inverter so is best suited to including as part of a new system. It allows you to time shift the electricity you generate to use outside of daylight hours. Once the battery is charged then it will export the remainder to the grid. 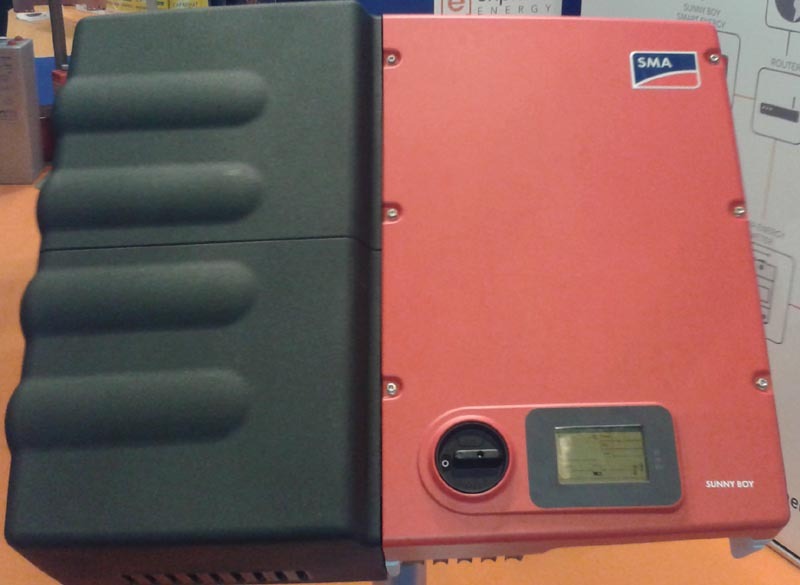 This is an “on-grid” system – if you experience a mains power cut then the battery power is not available for use until the mains power returns – so it is not suitable as part of an emergency power solution (SMA do offer an emergency power solution via their existing Sunny Island product). So what could this unit save? Well making a “back of the envelope” calculation then the very best case would be that an extra 2kWh x 365 days per year at a generous 15p per kWh would save £110 per year. Assuming a battery life of 7 years (the battery warranty for this unit) would give a maximum possible saving of £770 – well below the price of the Sunny Boy Smart Energy Unit at around £5,500. From these rough calculations there is clearly no payback in domestic applications in the UK at current electricity prices. However SMA should be congratulated for being one of the first manufacturers to offer an integrated unit that is designed to be installed in a house (note that the operational requirements means it must be installed in a location above freezing). It is likely to do well in Germany where the energy companies do have challenges with managing a high level of solar pv generation at non peak times and where battery storage can attract government subsidies. The Sunny Boy Smart Energy unit does show that manufacturers are starting to think about a solar future including batteries. Once the price of a 2kWh battery and inverter systems falls below £2,500 (assuming it also replaces a £1,500 inverter) then they will start to become more attractive propositions, especially if they include an emergency power option. 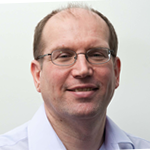 I look forward to reporting further innovation and progress in the solar industry at Solar Energy UK 2015.